I have been an artist all my life. Besides being blessed with natural ability I was fortunate to have had some very good grade school Art teachers. Who helped feed my need to be creative, by introducing me to techniques that other students didn’t have an interest in. In high school if I wasn’t on the football field I was in the art room. My senior year I had my first one man Art show and mural demo. 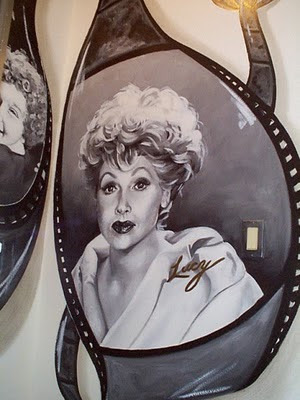 That year I also had my first paying mural job. College for me was going to the Art Institute of Pittsburgh, for Visual Communications. I new this was the place for me! I was hoping to be the next Frank Frezzetta or Boris, but that style of painting was not taught there. Yet I learned so many other things, like Airbrush, Graphic Design, Advertising Layout and so much more. Graduated from AIP and took a year of Graphic Design at Kent State, then started working in Advertising, as a staff artist and worked my way up the ladder to become an Art Director. By now I had become eager to paint again, so my girl friend now wife and I started airbrushing leathers and the like at biker swap meets. That went well, then one day at work I saw out my window two men painting a billboard and I was very interested to work big again. So I called to see if the company needed an Art Director or staff artist. They said no, but asked if I could paint. The next week I was getting my fear of heights cured, and became a journey man sign painter in a year or so. While working for the billboard company I started painting murals on weekends in kid’s rooms. Little did I know computers would phase out hand painted billboards. Luckily my wife and I had the mural painting business as a part time venture, so we opened the business full time. 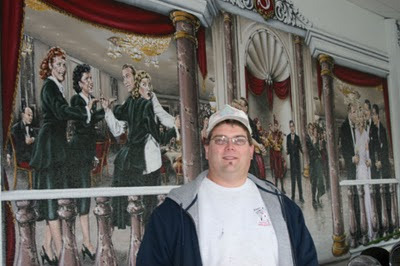 We have been running Tim Martin Muralist know for 18 years. My wife [Kelly] handles the business part and I the creative. Kathy, I must tell you and our readers that when we started this business 18 years ago. We were flying in uncharted space. There were no professional’s per say in Western New York. Plus at that time and up until 2004 I had no clue that decorative painting was a national/international thriving profession. 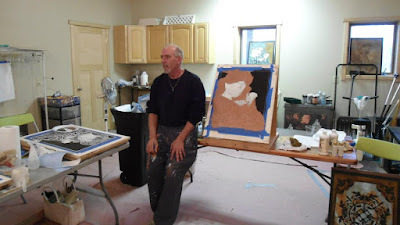 My training other than murals was all self taught and from books from artists that came or learned from European artists, but in 2004 that all changed with the start of our web site the year before. 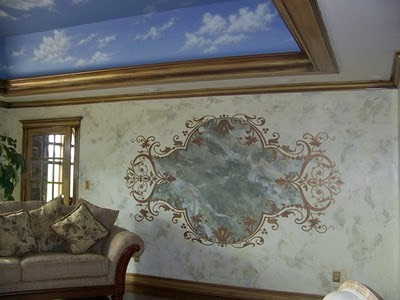 We were contracted to paint two mansions in Huston TX back to back. The first client introduced me to “faux effects” at “Any Thing But Plain”. That job was the first in which I used “faux effects products” with my own. When I got back home I was recharged with new creativity and thirst for new products to create with. I still have my tried and true old standards using paint and drywall compounds. Now I have been working with what ever product will work best for my clients needs. I’m still self taught ,other than a mail order course from ”Anything But Plain” or going to Gary Lords open houses every March. Oh! Let’s not forget books. Then there is having to learn under the gun which is very exhilarating for me. It’s like cramming for an exam and playing at the same time; had to do this for an Indian Casino in southern WNY. The products could not be replicated because of architects specs [American Clay]. I learned American Clay by just doing and some phone coaching from tech. The architects and Indians loved my American Clay work. My long term goal is to be able to learn more, do more fine art and teach the art of decorative painting which I love with a passion; and in the process start an apprenticeship program in Europe. Which I hope will give an artist the opportunity to do what they love [be creative] and get paid to do it.